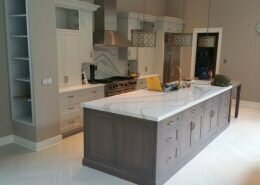 This project was one of the most complex that we finished recently. 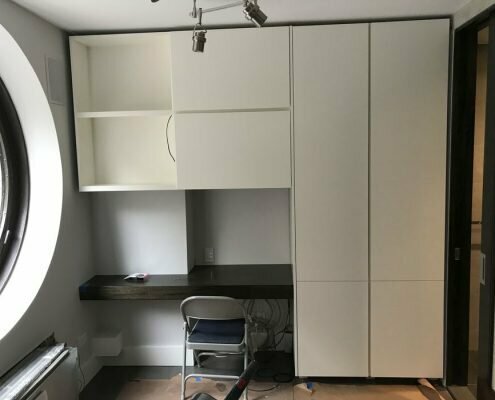 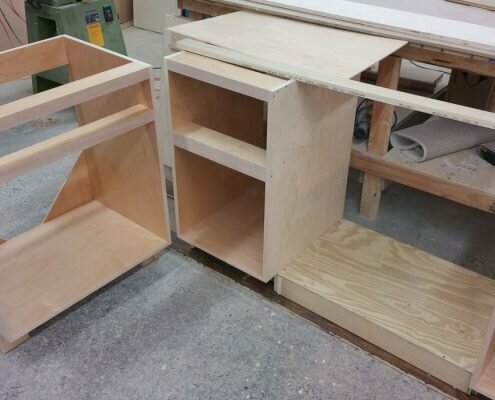 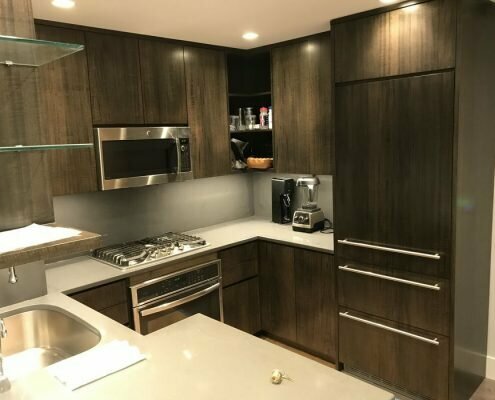 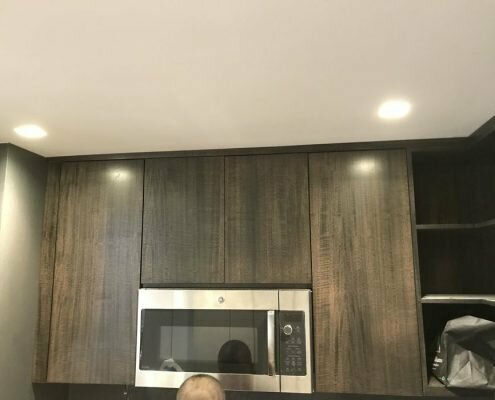 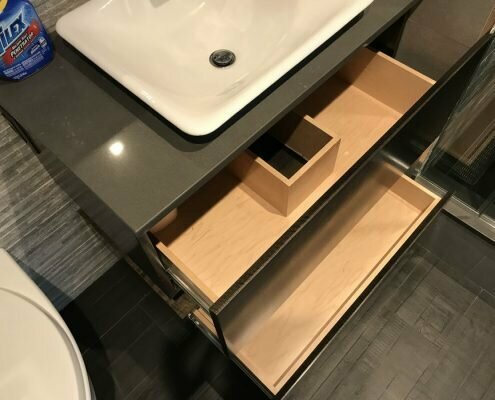 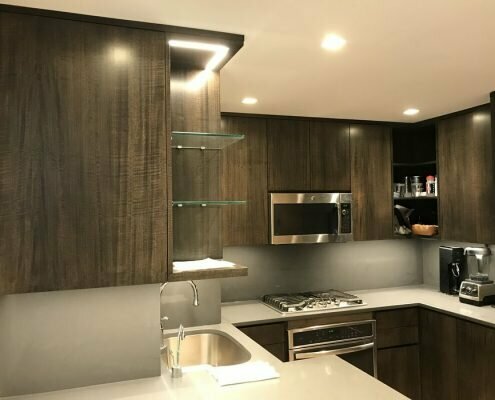 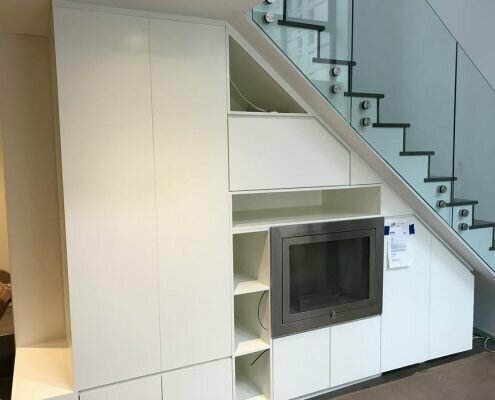 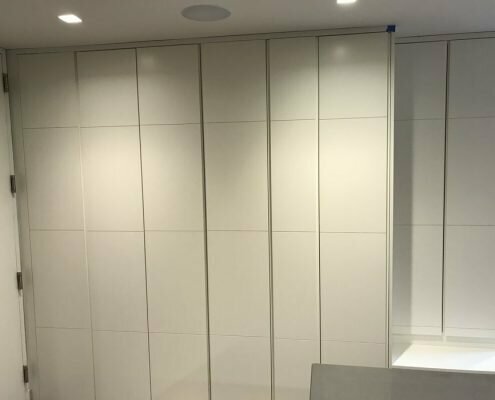 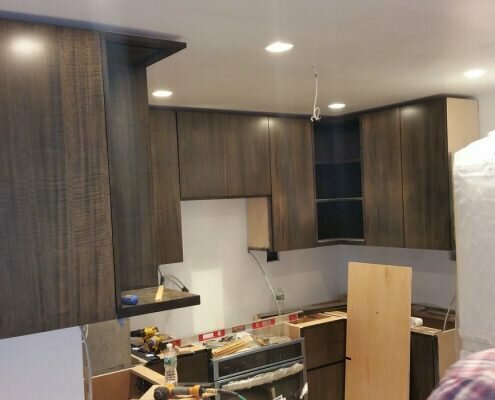 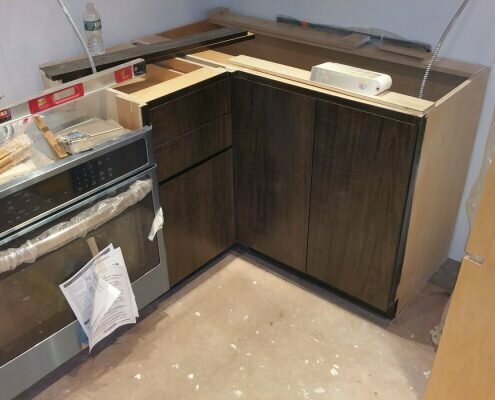 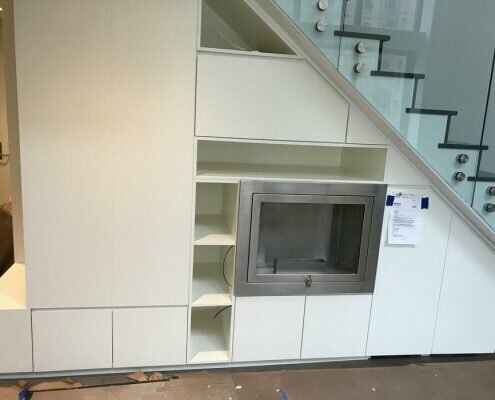 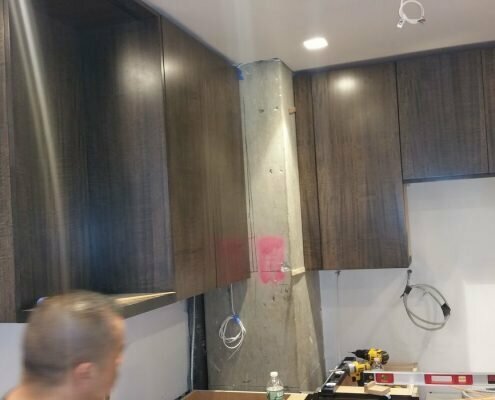 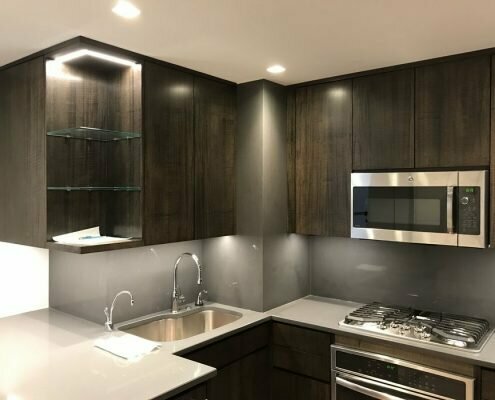 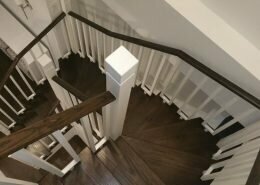 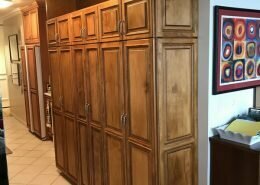 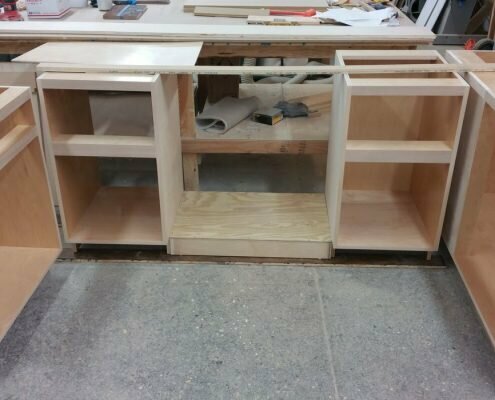 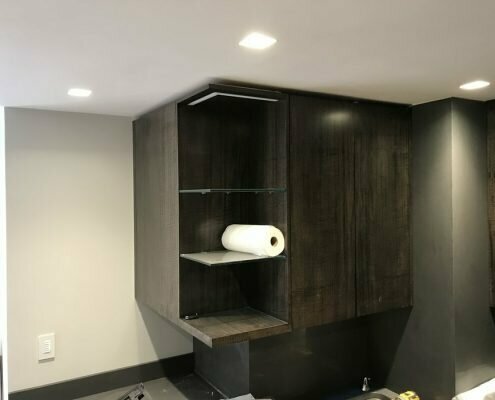 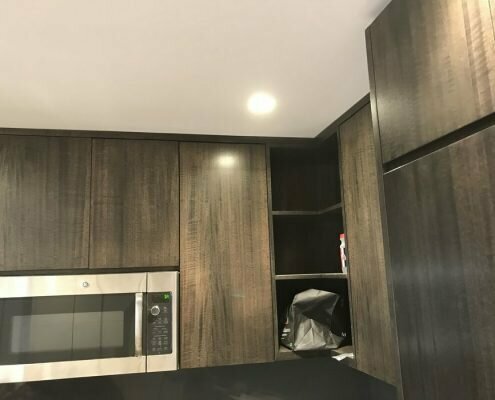 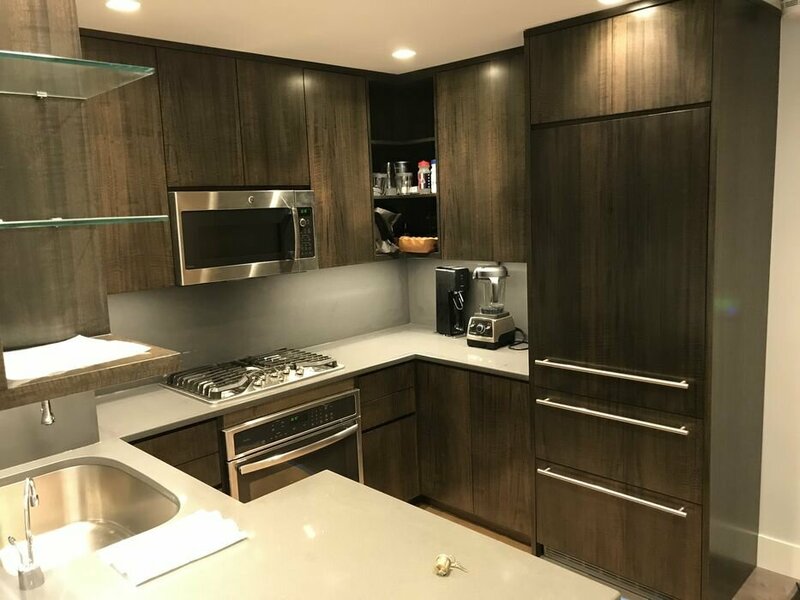 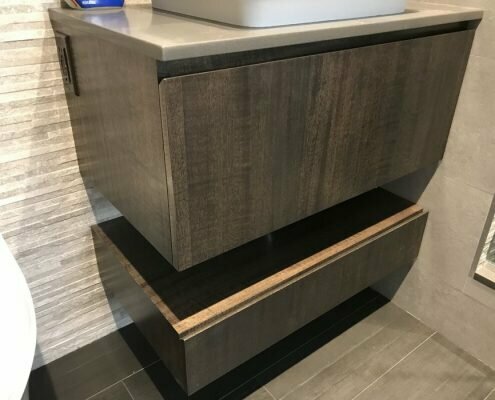 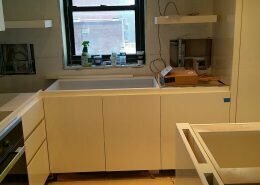 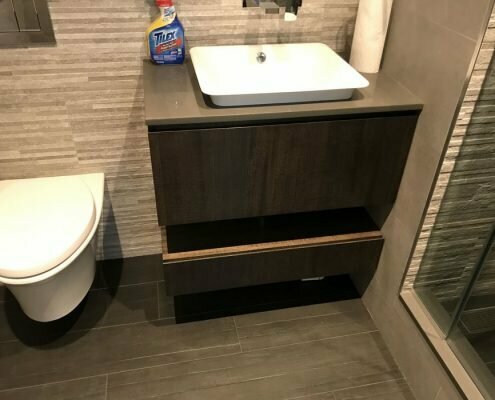 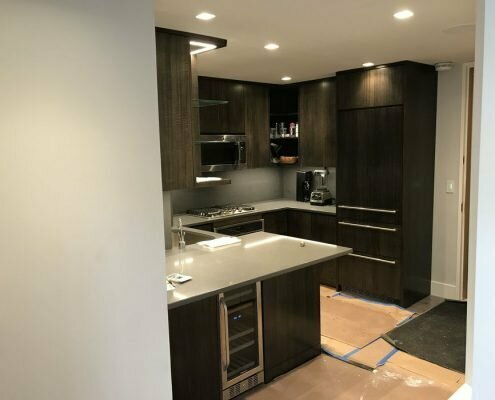 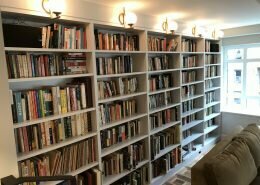 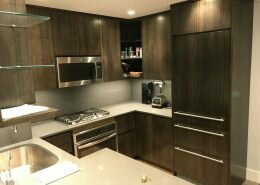 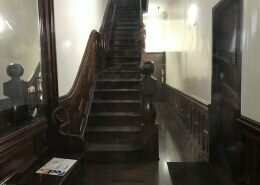 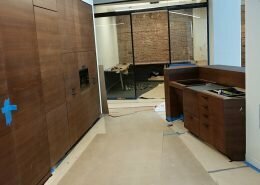 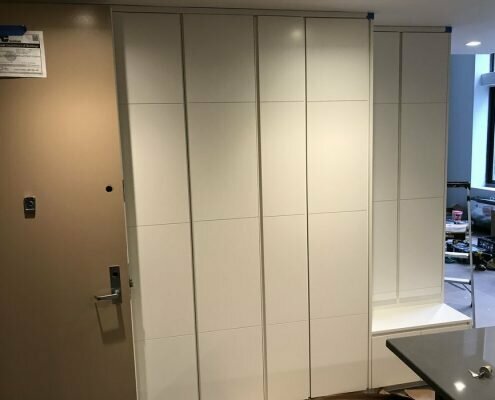 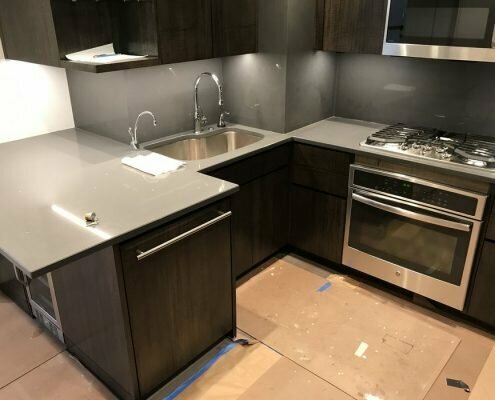 We were asked to fabricate custom under stairs cabinets, custom kitchen cabinets, bathroom vanities, home office closets and desk, entry hall cabinets and living room cabinets in an apartment at W 61th Street in New York, NY. 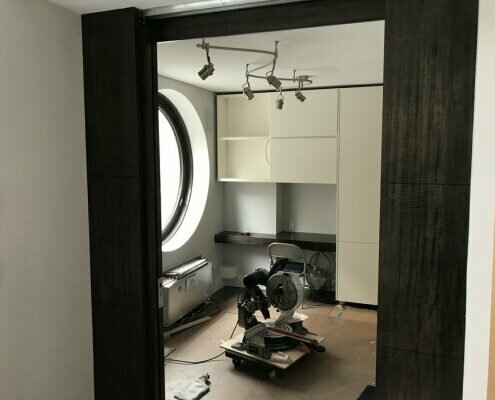 We received design and prepared our detailed shop drawing. 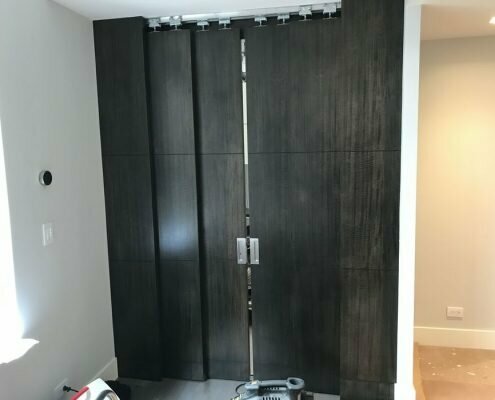 Doors were fabricated from Anegre wood.